A traditional Thailand wedding in Phuket is a spectacular display of colours, sounds and rituals that reflects the rich Thai culture. The Buddhist blessing ceremony has evolved over hundreds of years, and is the most spiritual and symbolic of all marriages. A Traditional Thailand wedding is perfect for couples who have an attraction to the rituals of Buddhism, or simply want to experience a little of the local Thai culture and traditions of Thailand, which is unlike any western ceremony. Combine all those traditions with the intimacy of a secluded and peaceful setting, this traditional Thailand wedding package will ensure that your ceremony will remain forever etched in your hearts and minds. This traditional Thailand wedding can be organized at many locations, however keep in mind that certain surroundings are more appropriate than others. 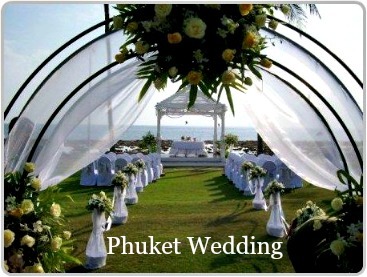 There are various beautiful locations and venues in and around Phuket that would be perfect for your traditional Thai ceremony. One in particular is Wat Chalong, Phuket's most visited temple. 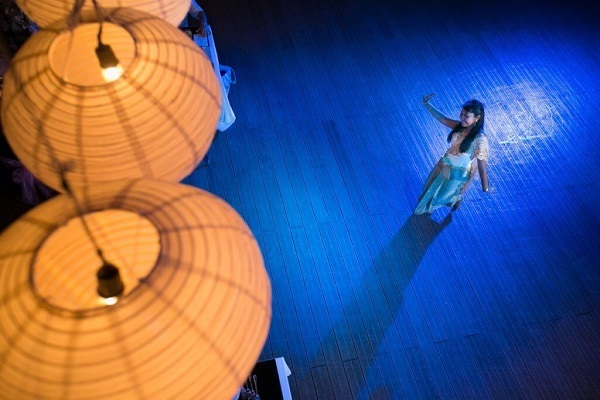 "Thai ceremonies add a sense of charm & romance"
The ceremony historically begins with the groom leading the “Long Drum Parade” with dancers and musicians. The groom performs several traditional Thai rituals before meeting the bride, who will be dressed in traditional Thai dress and waiting for the groom in a secret place. Once the two join they will receive the monks Buddhist blessing. Following the Buddhist blessing by the monks the couple will move to the altar, where they kneel together, and a holy string is draped from one persons head to the other, forming a circle to connect the two. Following this ritual all guest will pour holy water over the couple’s hands as a symbol of good luck. After the water blessing ceremony the couple will sign the wedding certificate. The wedding planner will guide you through the whole ceremony with explanations so you and your partner make the most of your blessing. For further information about this package including pricing and venues choices, please complete the contact form below to discuss all aspects of the ceremony with our specialist planner.